This was our first project. It started in 2003 as a direct response to help children who were living on the streets. 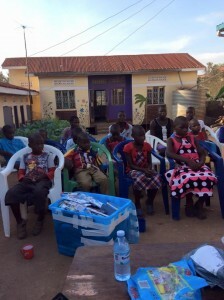 Initially the children were taken into someone’s home where they would be looked after. However as the number of children in need grew, a more permanent solution was required and as soon as funding was available a property was purchased and staff were employed to ensure the best possible care would be provided. The centre now employs 5 full time staff. At its peak the Capstone Children’s Centre cared for over 40 children and young adults between the age of 2 to 18 years. It is now our aim to have a smaller number children so we can ensure the best possible quality of care with the limited resources we have. 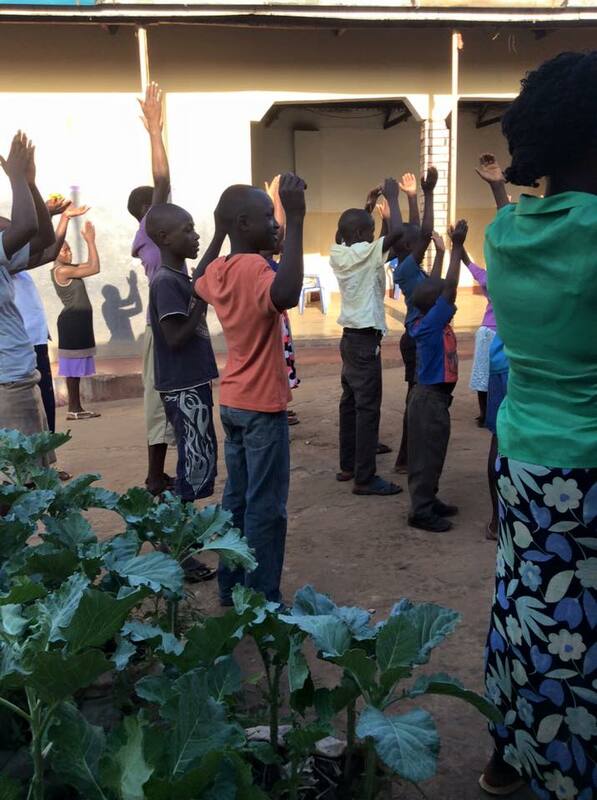 Currently the centre has 34 children aged, 2 attend nursery school, 20 are at primary school and 12 are at secondary school. Maintenance and enhancement of the Capstone Centre is an ongoing process and much has been done in recent months to improve the environment for the children. 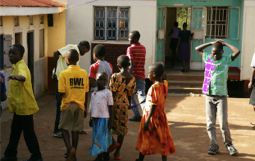 Doctors Rob and Emma, who had a recent extended stay in Lugazi, raised funds from family and friends and alongside Capstone funds this enabled them to work with the centre staff and children to make many improvements. The medium term aim for the centre is to relocate it nearer to the town and to provide a play area. An piece of land to build a new centre on has been identified and once funds become available we can start to progress toward this goal. During the March 16 Capstone team visit we took all of the children from the centre for a day trip to Entebbe Zoo. It was a great day out. Currently we require an average of £900 per month to cover the cost of staffing, school fees, uniforms, food, medicine and general living costs of the child in the centre. October 2016 Update – the staff at the Capstone Centre are just about to commence counselling sessions for the children who will be resettles at the end on the year. Since 2010 42 children have been resettled with extended family / friends. February 2017 Update – the Capstone Children’s Centre was our first project in Lugazi. It has looked after and rehabilitated many children over the years. This fantastic work will continue but as of this month, it will be done in a different way. The Government and regional authorities are keen to reduce the number of Centres like ours and instead have the children looked after in family homes. We have had to respond to this request and going forward our Children’s Project will be delivered in a different way. Over the past few months Damallie and her team have worked hard to find the extended families and some foster homes for the 44 children in the Centre. After much effort all of the children have been found homes. Our support to the children will continue with Damallie and one other social worker supporting these families as well as the children. All of the children received new mattresses to take with them to their new homes and ongoing support will include school fees and uniforms, health checks, medical assistance when required etc. 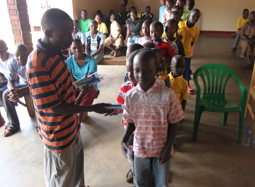 Regular contact with the children individually and as a group will be maintained. Group days out will still be possible in the foreseeable future. We will continue to get regular updates on progress being made and we look forward to seeing the children again next time we visit. This change, helping the children to live a ‘normal’ family life, is to be welcomed. Thanks to everyone who has supported the Children’s Centre to date and to those who will continue to support us going forward.